Definitely not for your teeth! 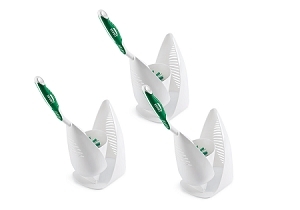 Never mix up your bathroom toothbrush with your kitchen toothbrush again! 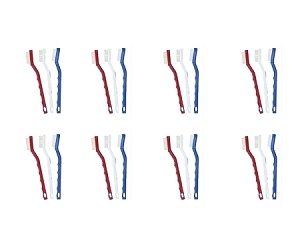 The Clean Team Pro Toothbrush now comes in three different colors Red, White & Blue! Now you can color code your toothbrush for a specific job and rooms in your house so you never again have to worry about cross contamination of surfaces. 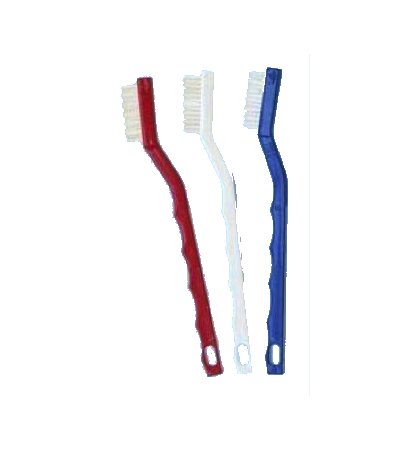 Use the Red toothbrush for your toilet, the White toothbrush for bathroom fixtures- sinks and tubs, and the Blue toothbrush for your kitchen cleaning. A toothbrush in one of the handiest tools we've seen for getting into tight spots fast--around faucet handles, tile grout, nooks and crannies on stove tops, knobs, light switches, molding, etc. Use it in the shower to clean dirt, grime, mold and mildew from grout line. 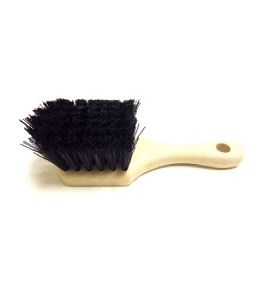 Our specially-designed "toothbrush" has a solid 7" easy-to-grip plastic handle and extra-thick bristles and an angled neck that protects your knuckles while scrubbing. Three brushes per order. 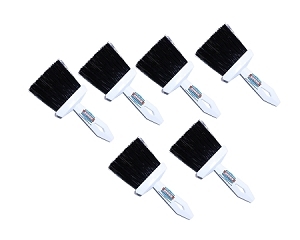 I love these little brushes, you can get into smaller area and they last. LOVE LOVE LOVE! These are definetely better than a toothbrush. Though gentle, they're much stronger and work great at removing the water deposits around the sink. I need more than one because I use them all over the house. Wow, I love these brushes! 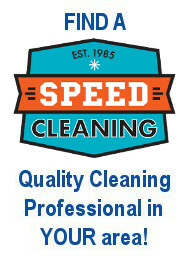 They are strong and the perfect angle for cleaning in tight spots. This little tool is invaluable and gives my cleaning team an advantage in hard to reach areas. We won't be without these! 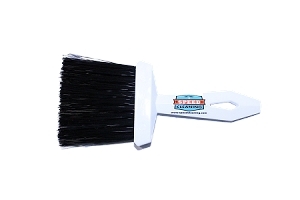 Great brush, tough cleaning bristles. The brush is bulky, though--I still keep a toothbrush for really tight spots, like clients with certain sink faucets that are very close together. These are not your momma's toothbrushes. These are sturdy and hold up very well to daily use, abuse, and bleach soaking each day. I love the three pack of color coded brushes to keep the toilet cooties away from the kitchen. It also helps to grab another apron for just the bathroom. Easy to snap a new apron on vs swapping out all the tools.